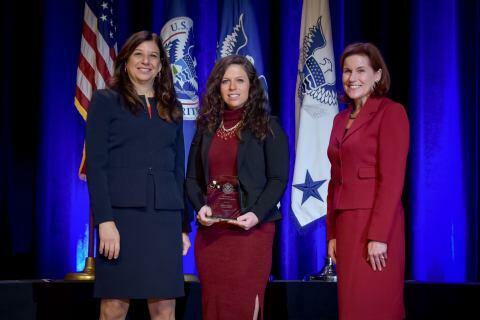 The 2017 Secretary’s Award for Excellence recognizes outstanding individual achievement or innovation by an employee engaged in work to advance the mission of the Department of Homeland Security. 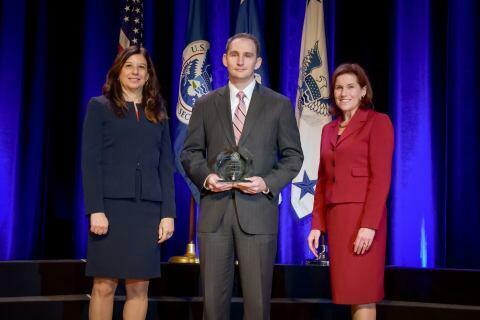 This work may have resulted in superior performance, significant operational improvements or notable innovation in support of Department of Homeland Security missions. 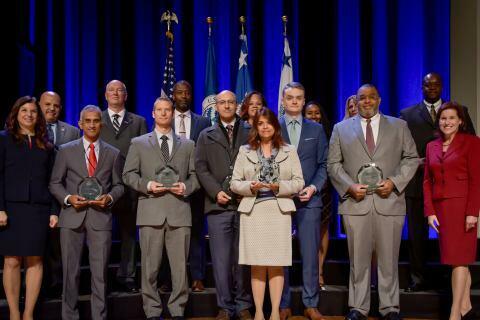 In recognition of outstanding leadership and innovation in creating cross-functional training programs for financial IT systems resulting in a more knowledgeable, better-trained, and more efficient workforce that will support and help eliminate Department-wide IT material weaknesses in the financial statement audit. 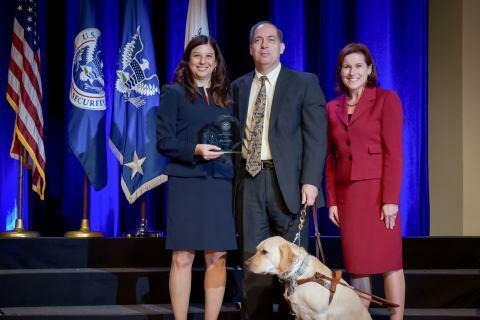 For creating policy and resources that strengthen the access DHS provides to individuals with disabilities. 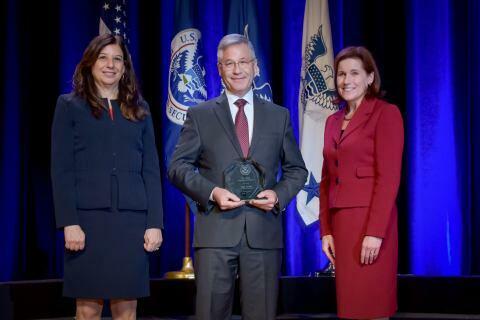 For outstanding collaboration and partnership in drafting United Nations (U.N.) Security Resolution 2309, focused on the threat posed by terrorism to civil aviation, unanimously adopted by the U.N.
For demonstrating exceptional leadership, professionalism, and technical expertise in guiding three competing shipbuilders through a complex contract deliverable worth several billion dollars to the Coast Guard. For leading his team in three complex projects that were transformed into viable technologies to be used in operational settings to help make the Nation safer. 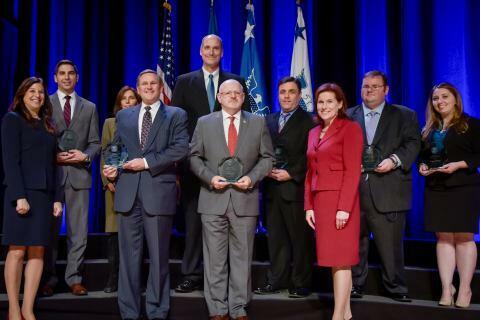 For exceptional teamwork creating and implementing an unprecedented program to secure reinsurance for the National Flood Insurance Program, resulting in an additional $1 billion available to the Department for paying survivors’ claims and to aid in post-disaster recovery. 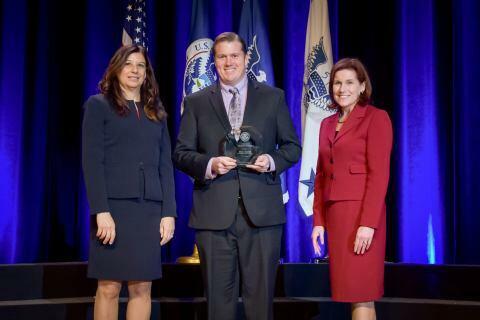 For outstanding work as the lead counsel for DHS Freedom of Information Act litigations facing exponential caseload growth, and for establishing a regular quarterly data call to enhance awareness and actions related to this immense caseload across the department. 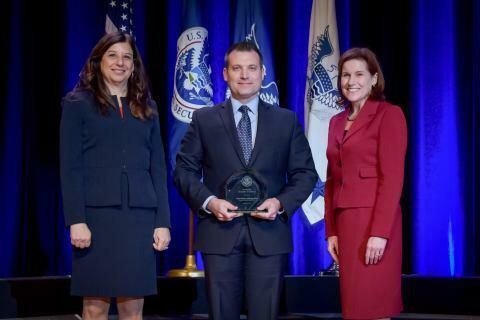 For outstanding teamwork in securing the U.S. Attorney General’s approval of DHS Intelligence Oversight Guidelines that reinforce the Department’s commitment to delivering timely, actionable, and predictive intelligence to our partners across the intelligence enterprise. For outstanding service and innovation, developing and implementing agreements regarding biometric identity services and expanding the use of facial recognition, and iris and fingerprint matching. 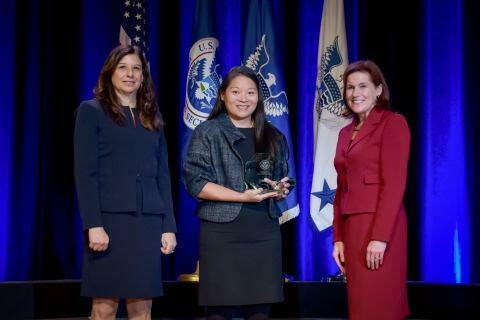 For implementing a pilot program using another federal agency’s "next generation identification rap back service" which provides an automated mechanism to recurrently vet individuals’ criminal history that aids in protecting the Department from insider threats. 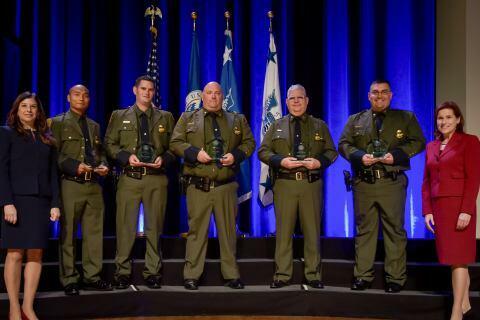 For outstanding service, working diligently to screen 21,586 immigration alien responses in real time, with 118 detainers, in support of fugitive operations officers’ field work. 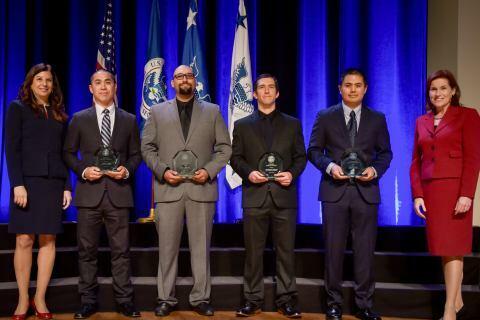 For outstanding service and accomplishment, aiding in the arrest of bank robbery suspects using data mining systems to understand their flight patterns, resulting in their arrest as they attempted to board an international flight. 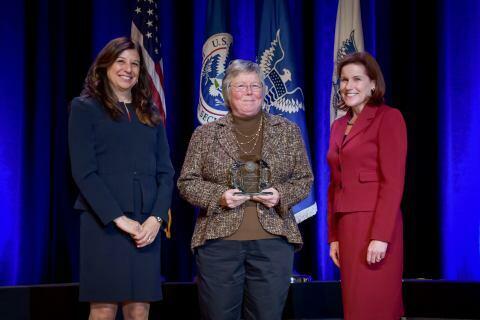 For developing the sector web application portal which helps to significantly reduce data entry and time developing charts for the Consequence Delivery System, a CBP post-apprehension analysis tool. 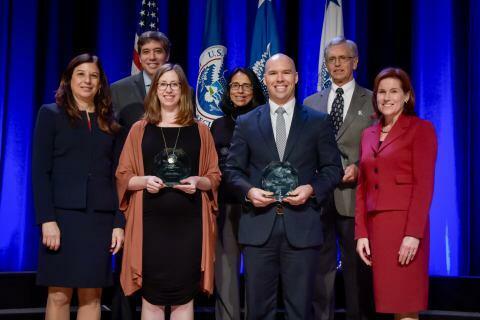 For significant contributions and outstanding teamwork in merging two different classified DHS network environments to enhance the DHS mission.